Ecuador has a vast biodiversity and is in fact one of the most wildlife rich countries in the world, due mainly to its range of different habitats. From the high Andean mountains to the low-lying tropical rainforests and the coastal plains, the differing terrains support a multitude of ecosystems that support an incredible array of wildlife. The country has been labelled as one of the world’s “mega-diversity hotspots”. 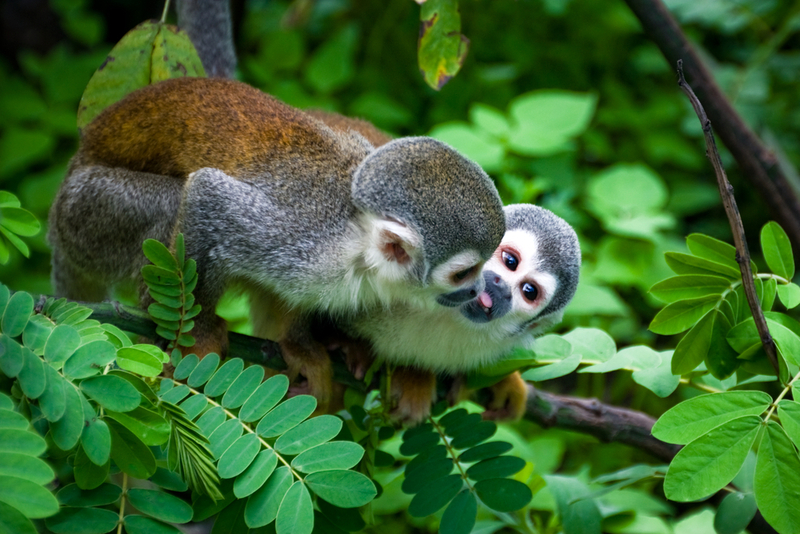 Over 300 species of mammals have been recorded in Ecuador including the rare Andean spectacled bear, monkeys (including spider, howler, woolly, capuchin and squirrel monkeys), marmosets, tamarins, two and three-toed sloths, deer, Andean foxes, llamas, vicuñas, anteaters, armadillos, agoutis, capybaras, peccaries, Amazonian manatees and otters. Although ocelots, jaguars, tapirs, pumas and spectacled bears are found in Ecuador, they are rarely seen. River dolphins are occasionally spotted in the tributaries of the Amazon. Bat species account for 20% of Ecuador’s mammals. 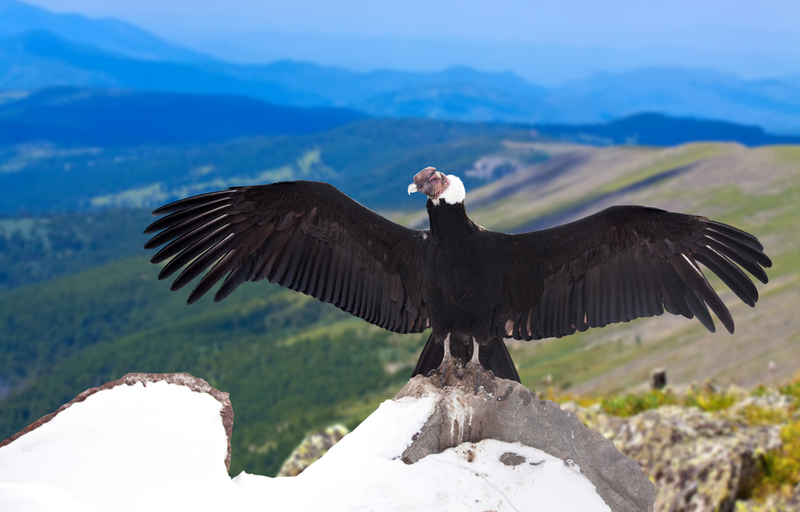 The Andean Condor. Photo credit: Shutterstock. Land tortoises, land iguanas and marine iguanas are found in the Galapagos, but caimans can be found in the rainforests of the Amazon. Ecuador is home to a vast range of frogs including tree frogs and poison-dart frogs and the highly poisonous fer-de-lance snake is also found here. It depends on where your travels in Ecuador take you as to what wildlife you may encounter. 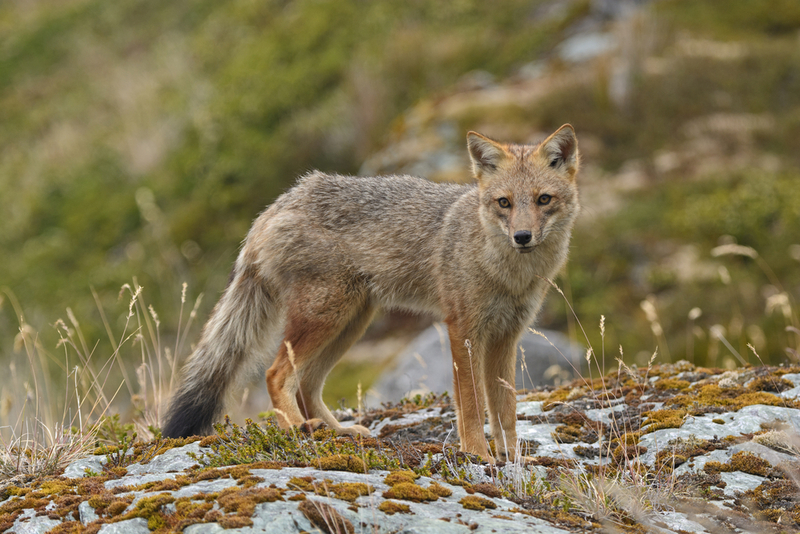 If you are high up in the Andes Mountains, then you may be extremely lucky and spot a puma, spectacled bear or pudu (South American deer) but more likely are sightings of Andean fox, Andean condor or a mountain tapir. 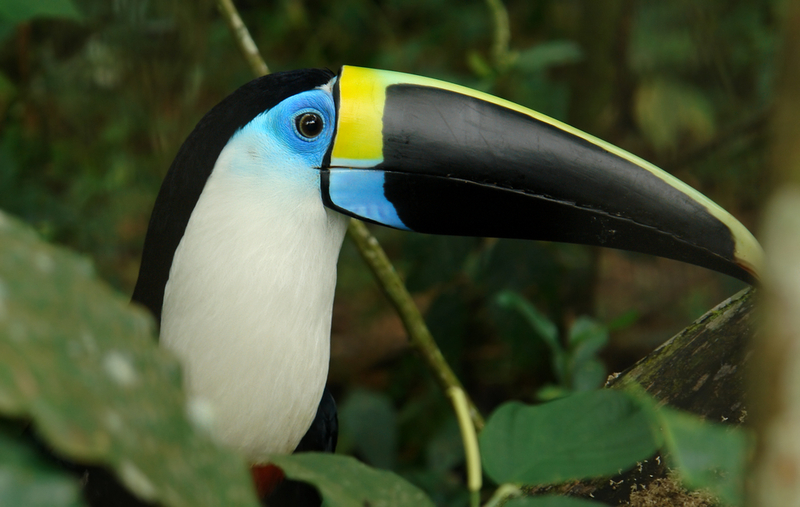 If you are heading into the Amazon Rainforest then you will see a myriad of species – plenty of birds but also reptiles including lizards, caiman and maybe even an anaconda. Not to mention the mammals – monkeys, river dolphins, sloths and anteaters are fairly common but if you are especially lucky you may see a jaguar or an ocelot. In the rivers you may encounter piranhas, catfish, stingrays and eels. And we haven’t even started on the insects! Beautifully coloured butterflies, many species of ant including leaf cutter and bull ants, tarantulas and other spiders – the rainforest is alive with insects! If you are heading into the cloud forest then you may not see many mammals but you are likely to see plenty of birdlife including hummingbirds, toucans, and long-wattled umbrellabirds. There are plenty of birds to be seen along the coast including pelicans, tropicbirds, boobies and frigatebirds and you may see whales swimming off the coast and maybe even a sea lion. Isla de la Plata is a small uninhabited island lying off the central coast of Ecuador that forms part of Machalilla National Park. Here you can see blue-footed and masked boobies and Galapagos albatrosses. 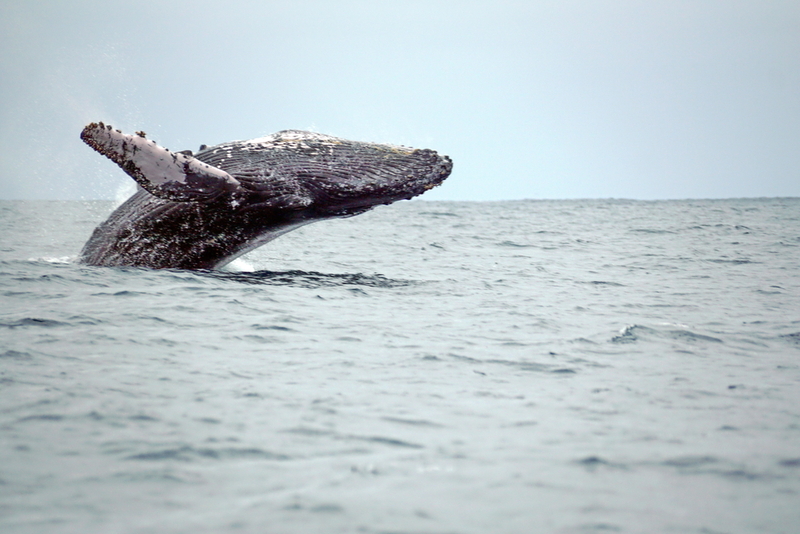 The waters around the island attract manta rays and migratory humpback whales. 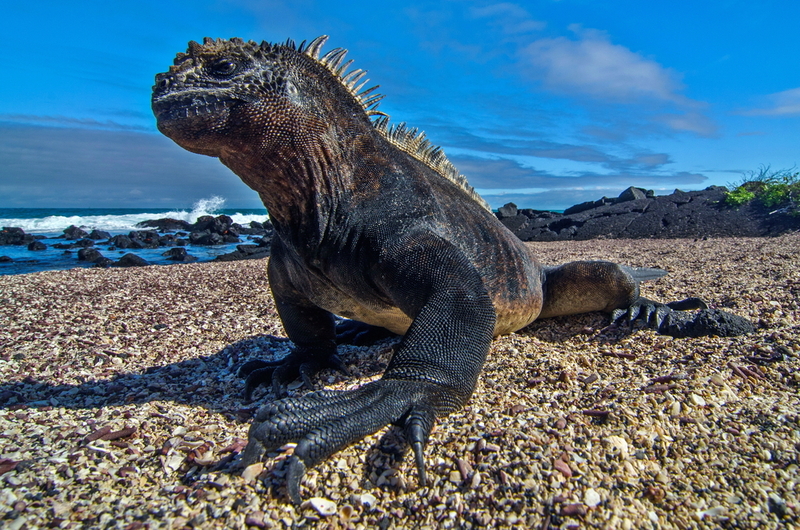 The Galapagos are part of Ecuador and one of the most amazing wildlife viewing destinations in the world – but that is a whole new story! Check out all the unforgettable Ecuador trips we offer, or let us create a bespoke itinerary for your next South America Adventure. After all this is what we, at Chimu Adventures do best! Click here for more information about Chimu. Make sure you take your photo camera to make the best shots! 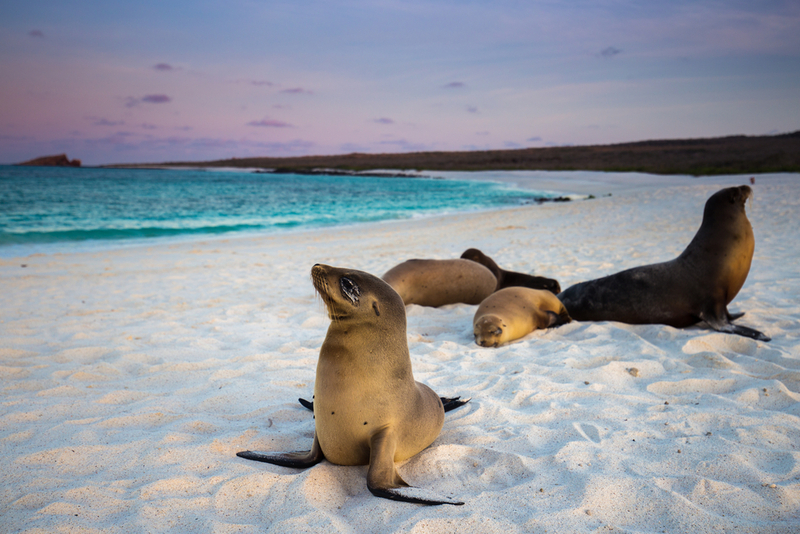 Discover the vibrant city of Quito, cruise the spectacular islands of the Galapagos and journey through the Amazon and spot the local wildlife.